The New York Yankees traded top major-league reliever Aroldis Chapman to the Chicago Cubs on Monday for a four-player package including the 2015 Midwest League Prospect of the Year. Gleyber Torres won the top MWL prospect award last year after batting .293 with 3 HR, 62 RBI and 22 SB in 119 games with the South Bend Cubs. He started this season with the High-A Myrtle Beach Pelicans, for whom he batted .275 with 9 HR, 47 RBI and 19 SB in 94 games. 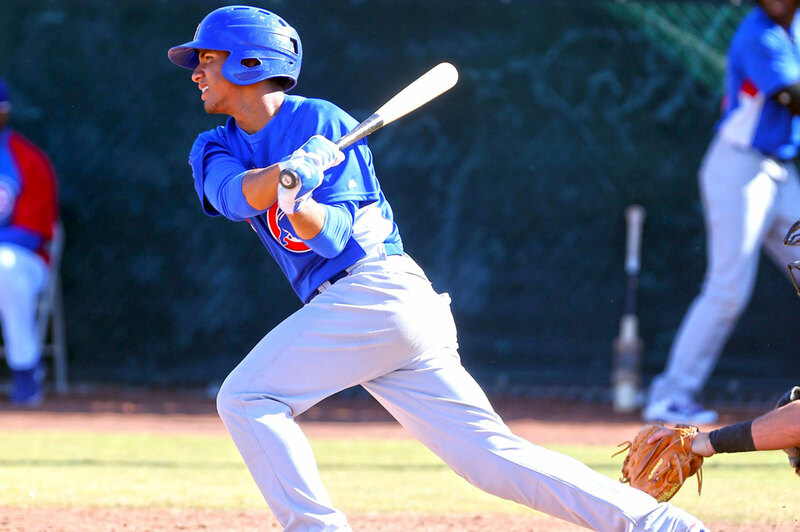 Torres, a shortstop from Venezuela, was considered the Cubs’ top prospect and is now ranked No. 1 in the Yankees system, according to MLB.com. In addition to Torres, the Yankees received outfield prospects Billy McKinney and Rashad Crawford, and reacquired reliever Adam Warren. Drafted by the Yankees in 2009, New York sent Warren to the Cubs in the Starlin Castro trade last offseason. Neither Warren nor McKinney played in the Midwest League, but Crawford did. Crawford batted .280 with 4 HR, 50 RBI and 20 SB in 107 games with the South Bend Cubs last year. He started this season with Myrtle Beach, batting .255 with 3 HR, 30 RBI and 22 SB in 83 games. 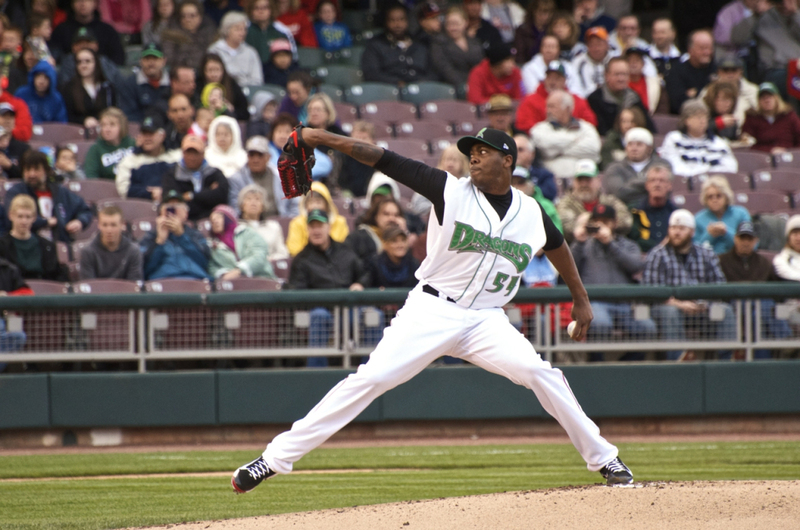 Chapman’s only Midwest League action came in 2014, when the Cuban fireballer made two rehab starts for Dayton Dragons. He struck out three, walked one, and gave up no hits in his two innings of work. This entry was posted in Carolina League, Dayton Dragons, Midwest League, Myrtle Beach Pelicans, South Bend Silver Hawks. Bookmark the permalink.